Kasey Lee was twenty four years old and pregnant with a little girl who was to be named Abigail. She lived in Norman, Oklahoma when in July, 2007, she went to the emergency room with a urinary tract infection and extremely high fever of 104.6 degrees. A physician chastised her for coming to the hospital with what was described as a ‘minor fever.’ She was sent home with a z-pack. The fever persisted and Kasey was in a panic. Her mom, Evie, told her to go back to the hospital. Evie was over an hour away from the hospital and by the time she arrived, her daughter was already intubated. Still she was able to write notes to her mother. In large letters, she wrote: “DON’T STOP TALKING TO ME MOM! Evie and her husband went to check into a motel room and when they got back to the hospital, Kasey was in a drug induced coma. Evie was told that Kasey would not be induced, but dialysis forced the birth of Kasey’s daughter, Abigail. Abby was born at six months. She only lived for eight hours but Evie says that she was small, but beautiful and perfect in every way. They were able to hold their precious granddaughter. Abigail passed away on July 31, 2007, Kasey’s sister’s birthday. Kasey was not trached. She had chest tubes and ballooned to the point of swelling. Kasey’s family was told every day that she was improving, getting better, until the night before when the were advised to stop life support. 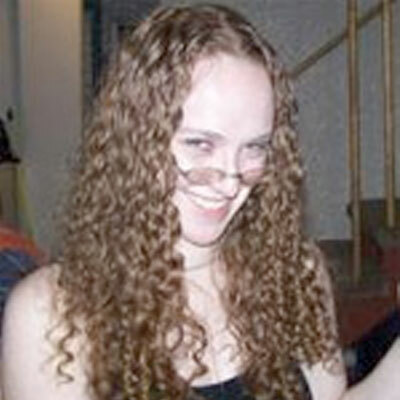 After three weeks in the hospital, Kasey passed on August 5, 2007, with 18 of her friends and fiance holding hands and surrounding her bed, each of them saying they loved her.